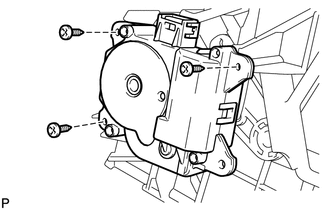 (a) Disengage the 4 claws and remove the No. 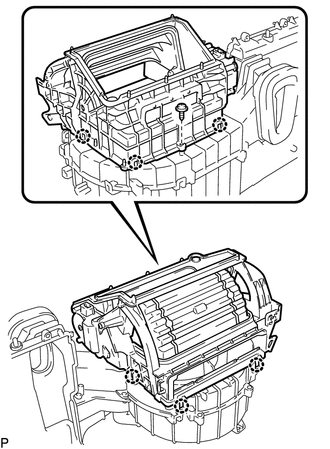 1 air duct sub-assembly. 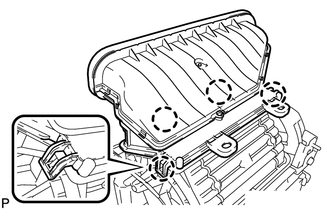 (a) Disengage the 2 claws and remove the air filter cover plate. 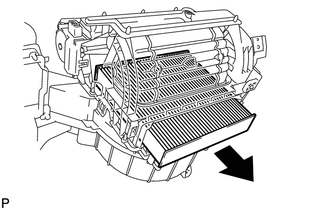 (a) Remove the clean air filter as shown in the illustration. (a) Remove the 2 screws and air conditioning amplifier assembly. 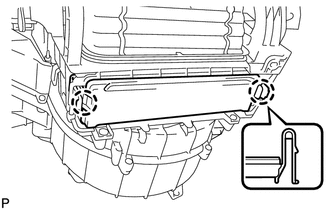 (b) Disengage the 6 claws and remove the blower case. 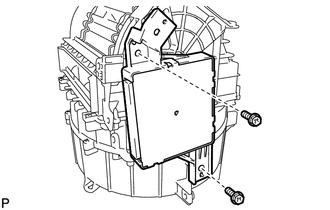 (c) Remove the 3 screws and air inlet servo motor sub-assembly. 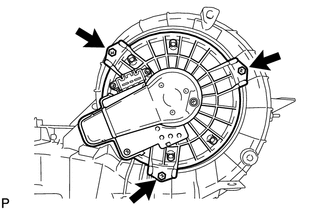 (a) Remove the 3 screws and front blower motor sub-assembly.